Even the most seasoned non-meat eater can still be surprised by common foods that have ingredients made from animals. Here are six foods that vegetarians can't eat. Before a vegetarian can eat anything, it's critical that they look at the ingredients to make sure it doesn't contain any meat or fish. Equally critical is letting everyone around them know that they're vegetarian and that, unlike most people, they read the ingredients on everything they put into their body, okay? But even the most seasoned non-meat eater can still be surprised by common foods that have ingredients made from animals. Here are 6 foods that vegetarians can't eat. 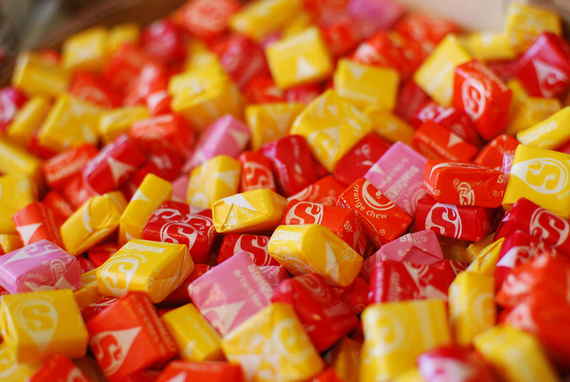 The fourth ingredient in Starburst, after sugar and more sugar (and... apple juice? ), is gelatin. Gelatin is a less-gross way of saying a gelatinous substance made from an animal's skin and bones. But we're not afraid of being a little gross. Something else we're not afraid of: no ghost. Despite being a place where ground beef flows freely, Taco Bell is a surprisingly formidable source of fast food for vegetarians. Our favorites are the Crunchwrap, Cheesy Gordita Crunch, and Quesarito (with beans or potatoes subbed for the meat). But don't you dare top it with reduced-fat sour cream, because that's like adding a helping of animal bones to your perfectly animal bone-free Cheesy Gordita Crunch. I remember going to Whole Foods once and seeing vegan sugar. I might have laughed out loud. "What's the point of this?" I thought. Then I looked into the whole "vegan sugar" thing a little more, and ended up buying it, because the idea of eating bone char -- which is usually made from cow bones -- with my morning cup of coffee struck me as a little nauseating. Apparently they use bone char to make the sugar whiter. I've had a huge bag of vegan sugar for a while now, and I can assure you it is of adequate lightness. For any vegetarian reading this at the bar holding a British beer: you might want to put down that pint. 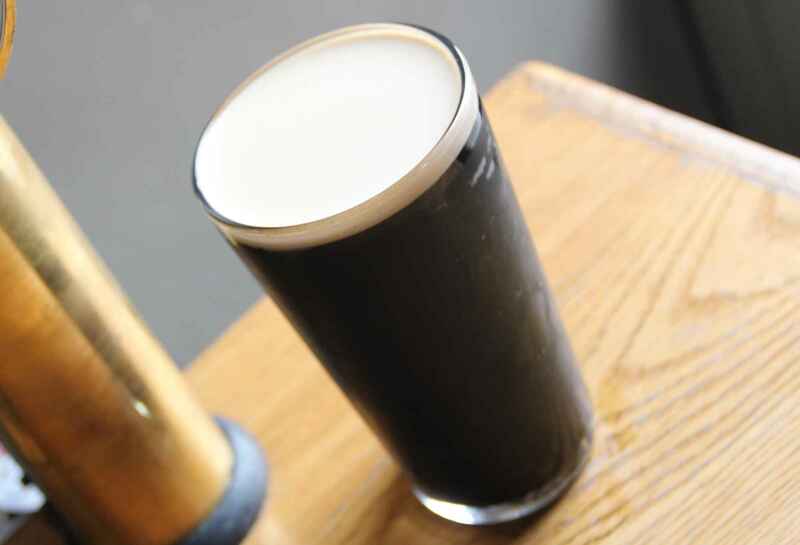 Guinness, among other British brewers, uses trace amounts of fish bladder in the brewing process. And since Guinness is a perfect beverage that will likely never be changed, vegetarians will have to do without it. PETA comes to the rescue with a fairly comprehensive list of vegan-friendly beers. There is nothing more American than apple pie and baseball, or eating an apple pie while watching baseball, or throwing an apple pie at a man in a baseball stadium and then running away, leaving him to wonder why someone aggressively threw an apple pie at him. Sadly for vegetarian Americans, apple pie (or any pie, possibly) that's made with a traditional recipe can have lard, which is used to make the delicious crust. The yogurt formerly endorsed by Arnold Schwarzenegger's love interest in True Lies has two ingredients not suitable for vegetarians: gelatin and a pigment called carmine made from a crushed up insect called a cochineal. Carmine is a natural way to add coloring to food, if your idea of natural is squashing a bunch of bugs. One interesting side note: the gelatin in Activia is labeled as kosher. This means it's safe for rabbis, but not necessarily vegetarians. 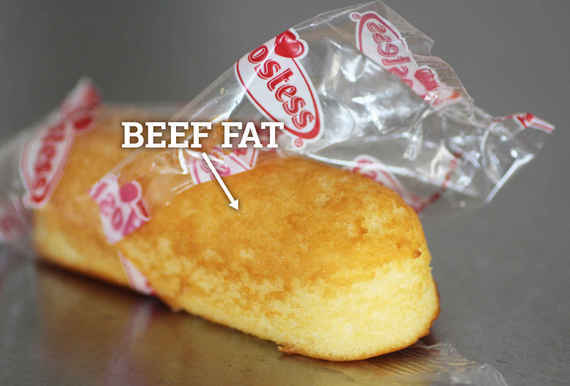 For 6 more surprisingly non-vegetarian foods, get the full story over at Thrillist.com!